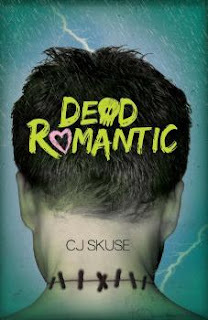 Hugely excited today to be the last stop on the blog tour for Dead Romantic by CJ Skuse, I hope you've enjoyed all the other blog tour stops as much as I have! I absolutely love CJ's stories and I've followed her on Twitter for ages, she's lovely. 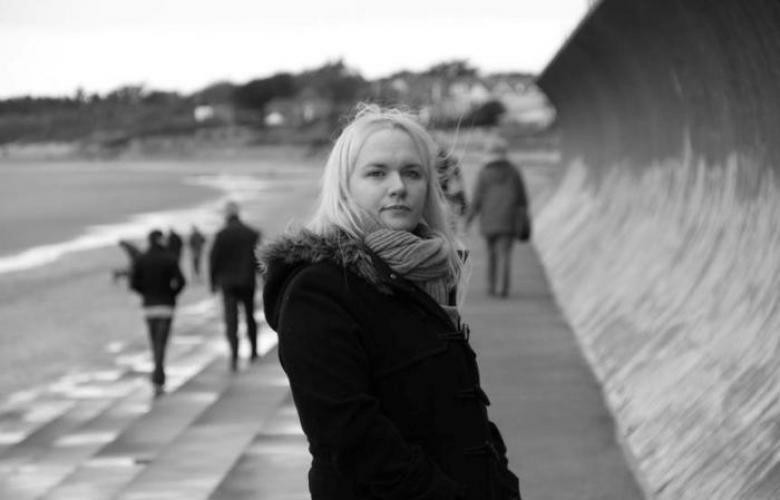 Very happy to have her on the blog today and I wish all of you a very Happy Valentine's Day! Camille wants to find the perfect boy, with an athlete's body and a poet's brain. But when she's mocked at a college party, she kows there isn't a boy alive who'll ever measure up. Enter Zoe, her brilliant but strange best friend, who takes biology homework to a whole new level. She can create Camille's dream boy, Frankenstein-stylee. But can she make him love her? I don't know who you are, what your sexual preference is or how you celebrate today but what I do know is that Valentine’s Day must mean something to you. You might be of the variety that receives or gives oversized cards bearing meaningful platitudes or teddy bears clutching satin hearts saying ‘I’m Yours’ or ‘Be Mine.’ You might grab a 3-for-2 meal deal comprising a bottle of pink fizz plus Grand National winner and two veg. You might be the type who books a nice restaurant and goes all out and buys a nice ring from H.Samuel and proposes on this very eve. You might be the type of person who wants nothing to do with Valentine’s Day this year and is tying your dressing gown chord around the banisters right now. You don’t get cards. Or teddy bears. Or My Little Pony and chips. Just loneliness and bitterness and an unrelenting pain in the chest that means for yet another year, you’re on your pigging own. Does it get better? I dunno, I’m not your psychiatrist. Get over it. There’s more to life than love. Vally Day might be bittersweet for you this year. Maybe your truest love lives across the miles or you’ve recently broken up. Maybe they’ve rejected you for someone else or did you reject them? Maybe you’re a total loser in love. Or maybe you frigging ADORE this day for all that it’s worth? If you’re anything like the girls in my new book Dead Romantic (#shamelessplug) then you will do literally anything to find love or to rediscover the love that you lost and maybe that will happen today. Whoever you are today, I salute you and I’ve devised a little playlist to toast you all – the lovers, the fighters, the losers, the lonely ones, the long distance relationshippers, the break up queens, the newlyweds, the post-weds, the rejects and the gravediggers. Which of these songs suits you the most right now? I am a romantic and taken :) So my 'in-love' song, as its my favourite song lately, is Bruno Mars Just The Way You Are. Perfect for those who hate some part of their body - like me! Great list. C. J. has got excellent taste in music. And quite good initials too. Oh I love how there is a song to suit each romantic situation! C.J. has great taste in music!